College Park is located very conveniently where I95 meets I495 (“The Beltway”) on the north side of Washington, DC. For those wishing to visit our nation’s capital city the Cherry Hill Park campground provides a close by place to call home. Directly from the park you can take a city bus to the nearest Metro station. Our purpose for stopping here was primarily to visit Valerie’s sisters. Cyndie lives in Germantown, MD, and Jenni lives in Arlington, VA.
Cyndie and her husband Ming treated us to a visit to Luray Caverns which is located in Virginia a little more than 1 hour west of Washington, DC. This cave was discovered in 1878 beginning with a very small opening through which cool air was escaping. It is a privately owned cave which offers 1 hour guided tours to view the beautiful formations. Luray Caverns is rich with a wide variety of beautiful formations: stalagmites, stalactites, columns, flow stone, draperies, popcorn, etc. There are large chambers up to 10 stories high with massive columns and large reflecting pools. 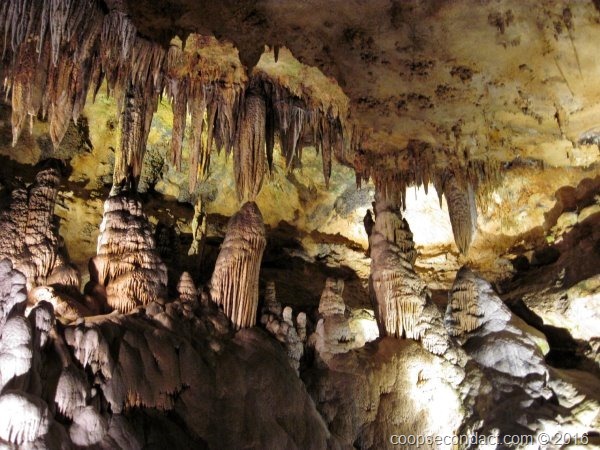 It is said to be the most popular caverns in the eastern US and it’s easy to see why. On another day, Valerie and I made a day trip to Baltimore. It has been many years since either of us had been there. 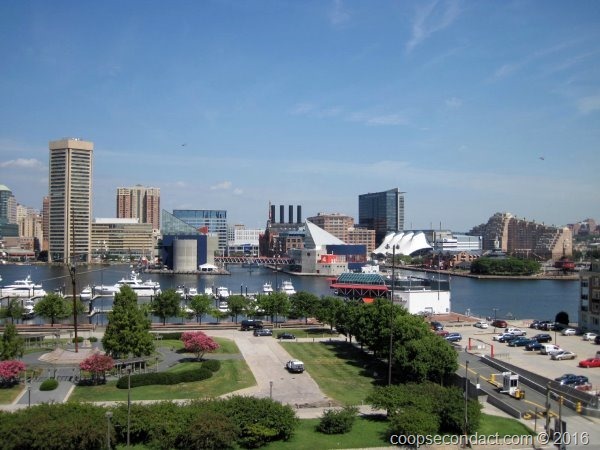 Our self guided tour focused mostly on the area around the Inner Harbor.